Three hundred million albums. More than 3000 shows over five decades. One final trip down the Yellow Brick Road, and it is all for the fans. The PPL Center in Allentown, PA had the honor last night (September 8th) of hosting the first concert of Sir Elton John’s Farewell Yellow Brick Road Tour. Sir Elton will play hundreds of shows on five continents over the next three years, but it all kicked off on a cool September night in a Pennsylvania city rarely known for such special events. Elton John will celebrate a half-century as a recording artist next year, when his debut album turns 50. Just another staggering number among many, but they are the kinds of figures the British hit-making maestro has gotten used to seeing. His career has earned him a spot as one of the top-selling artists of all time. After decades touring the world, Elton John is ready to pull the cover down over the keys and tuck in with his family. Announced in January this year, the Farewell Yellow Brick Road tour will no doubt earn raves wherever it goes. There is no way a man once known for huge glasses, over-the-top headgear, and flashy feather boas is going to go out any less fabulously than he entered. And he proved that last night. 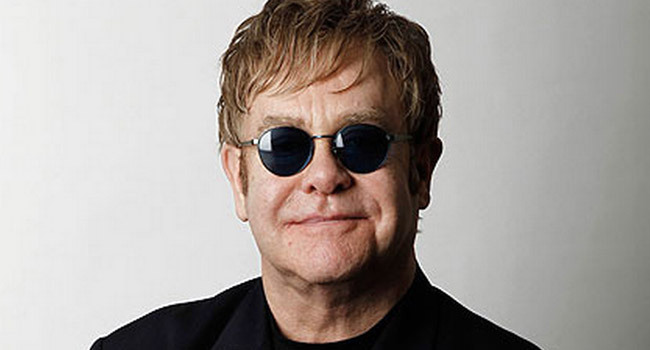 While Sir Elton has tamped down on the camp, he still made his way to the stage in a red and black flashy tailcoat, frilled shirt, and heart-shaped sunglasses — all of which have become a trademark for John in recent decades as a way for him to blend his pension for showiness with the graces of age. The campiest of elements was left to the on the video screens. During some of Sir Elton’s biggest hits, what can only be described as avant-garde video montages provided more to ponder. These montages did more than add perfunctory spectacle. Each vignette dared the concert-goer to contextualize Bernie Taupin’s lyrically delicious classics’ place in modern-day society. People of all shapes, sizes, genders, and economic classes were given their moment to shine, proving while Sir Elton John’s music has lasted so long: This man who dines with monarchs plays his music for the every-man. Absolutely nothing was lacking in Elton John’s farewell commencement. Opening with “Bennie and the Jets,” all the way through “Candle in the Wind” and “Levon,” Sir Elton licked his lips, widened his rose-tinted eyes, and made it seem as if he were giving it everything he has left. Because for Allentown, it is. His over 20-song set, John also took time to delve into his deeper, lesser-known tracks. In this regard, “Indian Sunset,” a John/Taupin composition, was brought to spectacular life thanks to Elton’s piano and the amazingly emotional percussion of Ray Cooper. The video screens added some extra magic that made “Sunset” transfixing. The Farewell Yellow Brick Road tour really does follow a road — of sorts. As part of the set dressing, a proscenium arch envelops the large projection screen. Stylized in carved brick are icons of Sir Elton’s career: The Lion King logo; Broadway musical titles; album cover portraits; and even a tribute to Ryan White, the hemophiliac teenager who became the poster child for the HIV/AIDS crisis affecting straight people. John was so moved, he started the Elton John Foundation to fight AIDS in 1990. During the rarely-performed #1 single, “Believe,” it was revealed on the screens that the foundation has raised 400 million dollars in the 18 years since its creation. The apex of the evening was arguably, “I’m Still Standing,” which was accompanied by an engrossing montage of John’s career. That Yellow Road traveled over 49 years is one paved with success, heartache, addiction, soul-searching, redemption, and accepatance. All of which Sir Elton gracefully acknowledged during his show. With hundreds more concerts to perform before 2021, Elton John, who is in very youthful voice at the spry age of 71, will not let the Sun Go Down too soon. Last night’s show in Allentown marks the first brick in the final path down Sir Elton John’s Yellow Brick Road.